In 1974 the Rotary Club of Huntsville joined the Rotary Youth Exchange program and has hosted students from all around the world and sent outbound students to a number of countries. 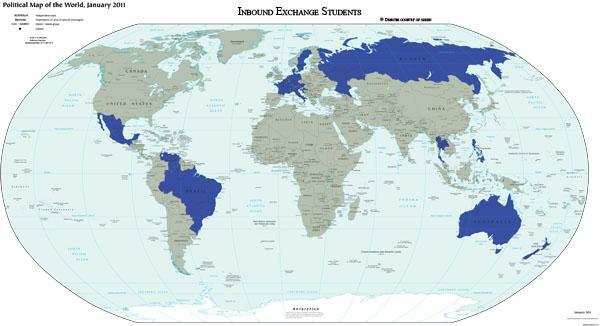 Below are maps of inbound students home countries and outbound students host countries. If you were an exchange student from Huntsville from the '74-'75 to '83-'84, '95-'96, '97-'98, '00-'01 school year, we would love to hear from you and were you travelled to.